Matt Rainey is attempting a major ‘try’ by starting a rugby club in Chestermere. Ideally the longtime rugby coach would have a team for every age group so that local kids can stay at home and play the sport he loves. For the time being, the Chestermere Vikings Athletic Association will field a team of under-11 kids, of which Rainey’s son takes part. They train twice a week with weekly games at the Calgary Rugby Union’s facility against teams from other cities such as Okotoks and Cochrane. The Vikings are starting small, but Rainey hopes they can expand in coming seasons, and he would like to unite the entire city of Chestermere for those who want to play. He’s registered as a non-profit and is volunteering his time as coach and administrator. “I’m doing this to generate ourselves a bigger community,” Rainey said. “We’re a community club. My goal is to give the kids in this community the opportunity to play sports. “I’ve committed to putting a team in every Saturday in the city at the facility on Shepherd Road. There’s a large facility there. We will go there every Saturday morning and play the festival, which is two or three games. “Then the rest of the week we will be training Tuesdays and Thursdays and playing Saturdays until school finishes. Then we have the summer off and we come back in the fall. Rainey would need around 10 kids to start a team and he doesn’t have the numbers quite yet. If they can’t field a full squad, then he will merge the players onto another team so they can at least play games this season. As of now there’s only a few registered to play, but that’s not stopping him from going forward. He’s still hopeful about getting the word out and getting more kids interested and has already purchased a set of jerseys. There are rugby programs at the schools in Chestermere but if local kids want to play for a club team, they need to go into Calgary. The time commitment needed to support a child playing in the city is one of the biggest reasons why Rainey started the Vikings. With up to a half-hour drive to the facility, then about a 90-minute practice or game and long drive home, participating in rugby is a major effort for families, especially on weeknights. Rainey feels there is enough population to support the program, but he needs to get new people involved without having to take kids from their current club commitments. 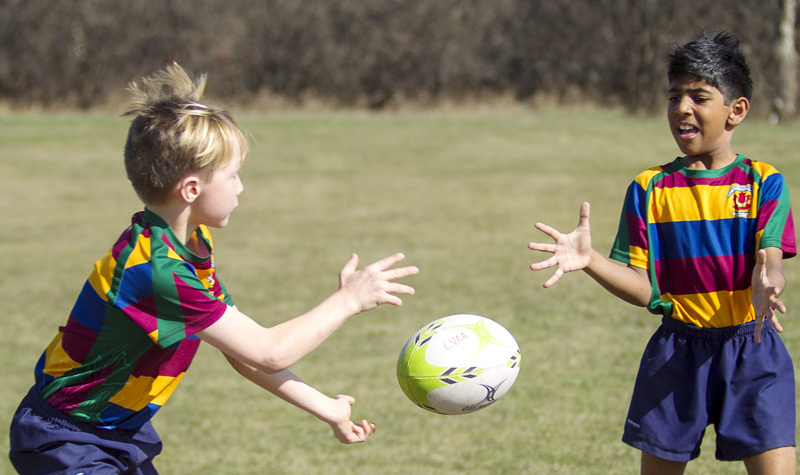 “When I did the research, there are 6,000 children living in this community,” said Rainey, who has more ‘try rugby’ programs planned for the summer. “Rugby Canada has given me permission to run a number of rookie rugby events. 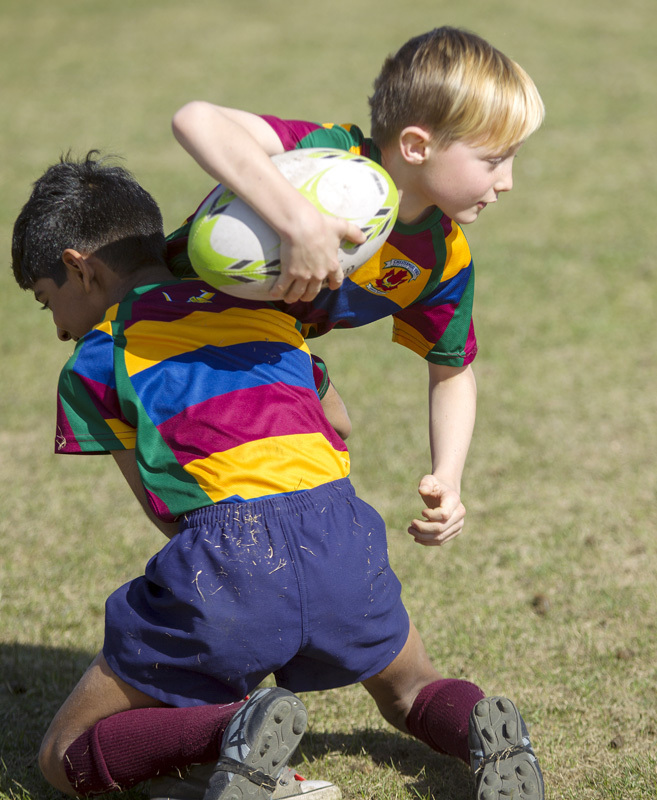 That includes flag rugby, which is really under-7s and under-9s. I intend to run that in the summer.